7 Kids and Us: Protect Yourself From the Zika Virus this Summer with Avon Skin-So-Soft SPF Sunscreens! Protect Yourself From the Zika Virus this Summer with Avon Skin-So-Soft SPF Sunscreens! Living in Florida, we spend a lot of time at the beach, and outside at parks. This summer, we have plans already twice a week at the park, and once a week at the ocean, or the inlet. That means I am going to need plenty of sunscreen. What I love about the Avon Skin-So-Soft Bug Guard is that not only is it sunscreen, it's also a mosquito repellent, so you don't have to use a separate spray to keep bugs away. With warm weather fast approaching, the prime season for mosquito-borne illnesses like the Zika virus is back. This spring, proper protection is even more important as the threat of mosquito-borne illness continues to be on the rise. 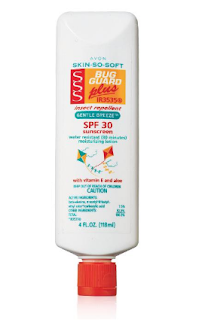 Avon's two dual action SKIN SO SOFT BUG GUARD PLUS lotions not only repel and protect against mosquitoes that may carry the Zika virus, but they also provide vital SPF 30 sun protection – something that's already a year-round must. Getting into the habit of regularly protecting yourself and your family from exposure to bugs and bites is one of the best things you can do to stay safe. 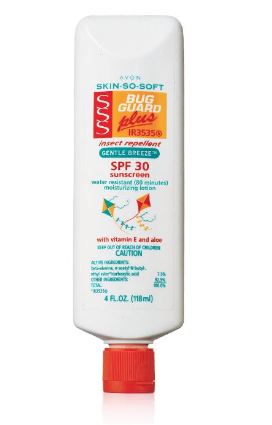 SKIN SO SOFT BUG GUARD PLUS IR3535® SPF 30 Cool 'n Fabulous Disappearing Color Lotion: The pediatrician-tested, hypoallergenic, kid-friendly formula goes on blue so you can see exactly where it's being applied, then dries and disappears into the skin. Enriched with skin-soothing vitamin E and aloe, both products repel virus-carrying mosquitoes, and other insects such as deer ticks, gnats, no-seeums, black flies, sand flies, and biting midges. 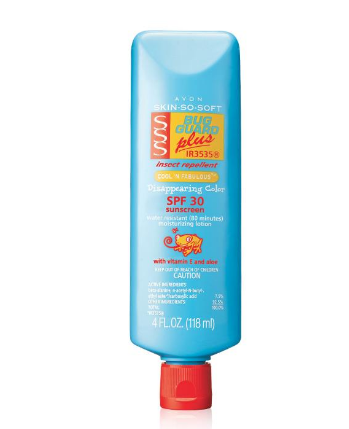 Avon's SPF 30 formulas are also water-resistant for up to 80 minutes, as well as non-greasy, DEET-free and PABA-free. Read and follow label directions and precautions. Ask a doctor before using on children under 6 months of age.